The festival spans sixteen days, from September 27, 2018 to October 12, 2018. QSC equipment is utilized in all seven venues, including the hearing assistance equipment in The Centre for the Performing Arts, the location of the opening and closing gala screenings. The project was particularly challenging because The Centre Theatre was not designed as a cinema. There are three seating levels in the 1800-seat theatre, and all of the equipment needed to be installed within two days. Proper coverage throughout the seating areas was challenging, but was accomplished using QSC IR panels. During VIFF, The Centre for Performing Arts also uses QSC DCS SC-444 screen channel loudspeakers, DCA 2422 and DCA 3022 amplifiers, and a DCM 30D crossover/monitor. 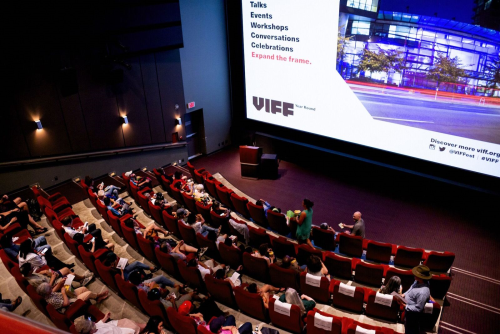 “The technical goal is to continually make improvements to the presentation, become more inclusive to all festival goers, and partner with a manufacturer who has the same vision as VIFF regarding playback quality. 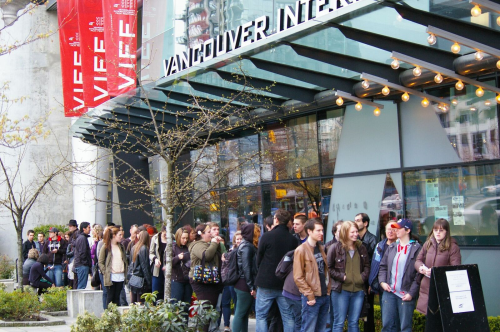 This goal will be met in select venues this year, and we hope to increase the accessibility service, and respective quality, to all venues in the coming years,” says Matt Kunau, Technical Director at VIFF. QSC is a proud sponsor, as VIFF is a festival designed for the benefit of people who love films and the people who make them.